In stock -This product will ship today if ordered within the next 4 hours and 23 minutes. 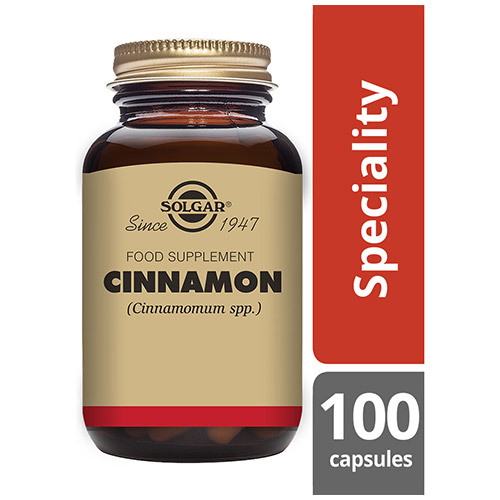 Solgar® Cinnamon is a food supplement containing cinnamon, a spice used worldwide for both its culinary and medicinal qualities. 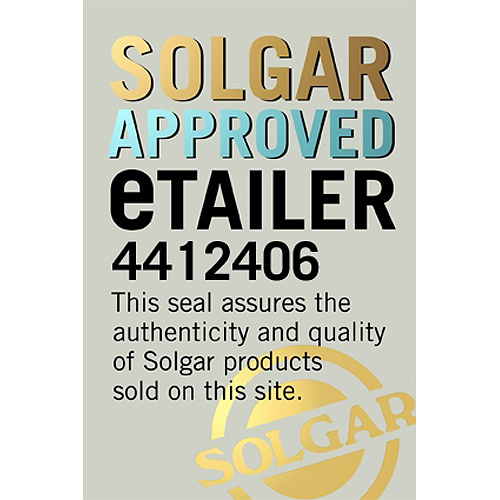 Solgar®’s food supplements range consists of concentrated foods and botanical extracts to provide dietary nutritional value when taken in combination with food. The majority of the products are available in the same forms as they occur in nature. Cinnamon is a spice used by many cultures in recipes because of its sweet taste, as well as being used medicinally for thousands of years. The health benefits come from the bark of the cinnamon tree, which grows all over the world and counts around 250 different species. 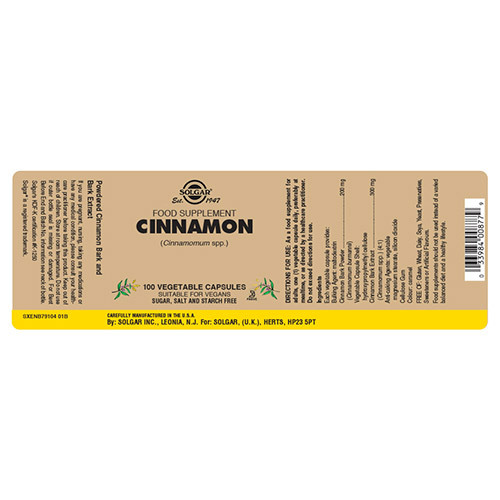 Cinnamon has been used for centuries and even dates back to Ancient Egypt when this spice was considered very rare and valuable. This tasteful spice is packed with antioxidants, which support your body in fighting free radicals. 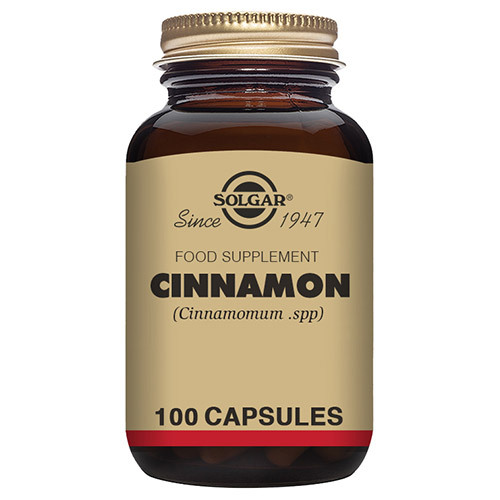 Solgar® Cinnamon is to be taken as 1 vegetable capsule a day, giving you all the benefits of this popular spice. Also contains: Vegetable magnesium stearate, silicon dioxide, cellulose gum, vegetable capsule shell: hypromellose cellulose. 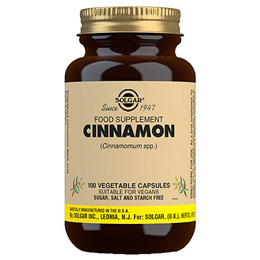 Below are reviews of Solgar Cinnamon - Powdered Cinnamon Bark - 100 Vegicaps by bodykind customers. If you have tried this product we'd love to hear what you think so please leave a review.